If you're looking for that special something to spice up an empty wall in your home, look no further than the Bryant Park Shop. 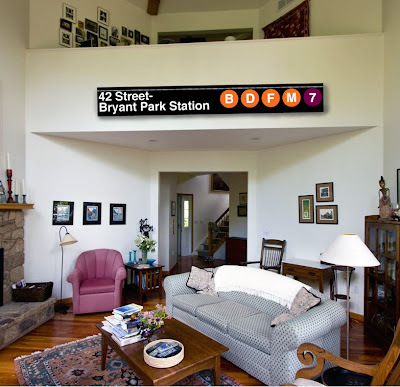 Adorn your abode with one of three 42 Street-Bryant Park Station signs, made to the exact design standards of the MTA and ranging from 12 inches to 8 feet long. To make these quirky wall hangings available to you through our online shop, we've partnered with Underground Signs, the only company licensed by the MTA to create and market replicas of NYC subway signs. Each piece is custom made from aluminum or steel and will hang easily on the wall with screws or hooks. 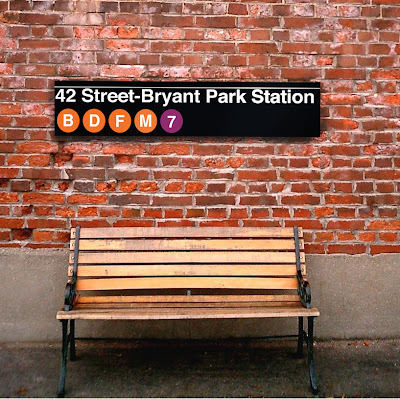 Our sample images depict the current BDFM trains, but if you have a soft spot for the old V line or don't care for 42nd Street, just contact us at 917-438-5119 or bpstore@urbanmgt.com to talk about customizing the text and decals on your Bryant Park sign. You'll find exact sizes and details for all three signs on www.shop.bryantpark.org.